It has been a while since my last hub. Such is the price of travelling and working abroad when responsible for developing vaccines in order to save lives. A basic principle of Karaism, 'that human life is sacred, all lives, and that the saving of a life takes priority above all else, especially one's personal pleasures. If a man falls down a well on the Sabbath, then saving that life overrules all sabbatical laws and prohibitions. There are no debates, there are no questions, only actions when we accept our responsibility to value human life. So how does this relate to the topic at hand; the question of Karaite and Rabbanite relationships. It does so in demonstrating the difference that has separated our two sects over the past millennia. Whereas we Karaites hold all life sacred, the Talmud of the Rabbanites actually qualifies which lives are considered sacred and which aren't. Which one of us is correct in our interpretations? I don't think it is a matter of correctness but instead an issue of humanity! There was a time that the differences between our two communities were very minor and our relationships were excellent. But at the beginning of the tenth century there came a man out of Egypt that was filled with nothing but vile and poisonous hatred. It coursed through his veins like a dark bile and parted from his lips in a stream of curses and defamatory statements. His name was Rabbi Sa'adia Gaon al-Fayyumi and having witnessed the success of Karaism in Egypt amongst the common people he was determined to expunge it from the face of the earth. He branded us as heretics, dogs, unfit to live and did his utmost to carry out his threats. As the Rabbanite communities of Mesopotamia heralded him as their great sage, he persecuted us, slaughtered us as a result of his dehumanizing statements, and ultimately chased us into exile, forcing us to leave our centuries old homes south of the Black Sea and spread out westward to the northern shores and the Crimean Penninsula and easter Europe. And then came Maimonides, the great Rambam, another saintly sage of the Rabbanites who said that the Karaites are deserving of honour and fair treatment but only if they abandon their denial of the authority of the Mishna and Talmud. Only then could you associate with them, enter their houses to celebrate and mourn with them during their births and deaths, to treat them as a fellow human being, a fellow Jew. A clever disguise of his own animosities by shrouding them in a mask of tolerance but knowing full well that Karaites could never accept the Mishnah or Talmud because in doing so would mean that they could no longer be Karaites. So while the rabbinical Jews celebrated what they claimed was the Rambam's immense heart filled with tolerance and kindness, it was nothing more than the sword of persecution cleverly disguised. In Egypt the hostilities grew and there were times that the Rabbanites which far outnumbered the Karaite population forced the Karaites to participate in their celebrations under penalty of physical punishments. Not only did they do this to the Karaites but to the Samaritans as well. 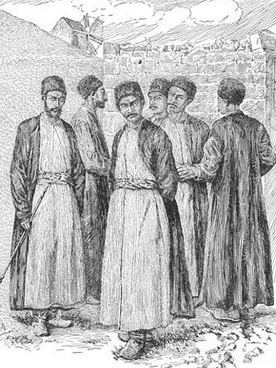 After a long history of this harassment, the Egyptian Karaites appealed to the government of the nation and were finally granted in 1890 recognition as a separate sect, independent of the Rabbanites and free to practice the religion under their own leadership and courts. Interestingly, as soon as the Karaite leadership had been restored, relations actually improved between the two communities. What this would suggest was that the persecutions and harassments were either sanctioned or instigated by the rabbinical leaders only because they knew that they controlled the lives and freedoms of the Karaite community prior to 1890 and they abused that authority. Once they lost the power, they could no longer impose their harsh treatements. Relationships actually improved so much that in the 1940s there were many Karaite teachers in the schools of the Israelite Community of Cairo and Karaite doctors practised at the Jewish Hospital at Gara in Cairo, both rabbinical institutions. Rabbanite authors published frequently in the Karite journals al-Arshar, al-Ittihad and al-Qar'in. For all intents an purposes it would appear the Rabbanites had redeemed themselves and buried their animosity. Throughout the 18th and 19th centuries there was a continuous link between the Karaite community of Cairo and those of Istanbul and Jerusalem. The Egyptian community was gifted a section of land in Jerusalem that surrounded the ancient synagogue of Anan ben David. But the climate had changed against these other Karaite communities, and they became persecuted like any other Jew, and by the turn of the 20th century, the Egyptian community had developed a plan to relocate Karaites from eastern and central Europe to Egypt so they could escape this persecution. They came but never in the numbers that had been hoped for. But by 1948 the situation had also changed in Egypt as the establishment of the State of Israel meant that Karaites were viewed as enemies within the Egyptian state. The Karaites appealed to the new State of Israel to help them migrate but the new state was controlled by the predominant Orthodoxy of rabbinic Judaism and after prolonged debate, the approval was only granted with major concessions that had to be made. Basically, Karaites were to be considered second class citizens, denied their own courts and councils having the right to make legal judgments. They were not permitted to legalize their own weddings or divorces. The list was extensive, going on and on in respect of their limitations but to a persecuted people there were no choices. Once again the relations had soured and the divisions had been restored. So what does this tell us in retrospect? It becomes clearly evident that even after the passing of 1000 years, when given the opportunity to dominate, persecute and harass the Karaite community, the Rabbanites will quickly do so. It is in their nature, it is part of their upbringing, and it is sanctioned by their Talmud. That even those that have suffered at the hands of their persecutors will prey upon those they deem to be in a weaker position because the Talmud does not hold the lives of those that are not adherents of rabbinic Judaism as sacred. It is nothing new and unlikely to change. It is a key defining point between us and them. As Karaites, all lives, all people are sacred, and whether they believe or not as we believe, we must constantly show them that we are tolerant of their ways so that they may come to know us and in doing so we will become 'a Light Unto Them" and show them the proper path. As for my Rabbanite brothers, continue in your ways. You will teach the world nothing. You will show them you are no different than they are. You will show them the ugliness of those that have not made their covenant with God. That where there is an absence of the Almighty that vacuum is filled with the darkness that inhabits all men's souls. As I travel the world, finding that which is rewarding in every culture, I only hope that they will appreciate the light that burns within my heart, radiates from my eyes, and lives upon my lips. So that one day they may ask what it is that makes me tolerant of all men, hopeful for the future of humanity, and dedicated to the saving of mankind. And I will be able to answer with but a single word; Karaism. To appreciate the relationship, you must also understand the differences that divided us. Life, the sacred nature of all life, is one of those dividing factors. There are no debates, there are no questions, only actions when we accept our responsibility to value human life. So how does this relate to the topic at hand; the question of Karaite and Rabbanite relationships. There is no concern about spelling and grammer as far as I am concerned. We are travelling on a path of learning and exploration and that is the only criteria we are judged by. Shalom Kahana. I'm glad my comments were welcome on your hub. Thank you. I'm new to this hub thing. I see some spelling and writing mistakes in my comments, and I'm realising I can take my time and edit properly before posting. It's nice to meet you. Shalom Aleichem v'todah! Shanti, Thank you for your comments. I think you summed up all of the nonsensical halachah that the Rabbis have bound the Torah in with your final question, "Where is the Love." 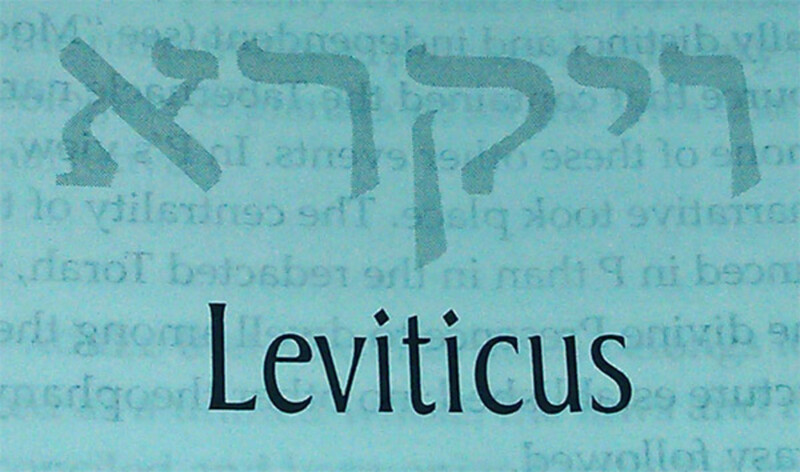 God gave us the Torah out of love, not as a burden, not as punishment, not to alienate us from other people. He gave us a gift by which to unite ourselves, unite the world, and through its adherence, bring peace to mankind. We have failed miserably. Perhaps now is the time we make the effort to return to our roots and be what God intended us to be. 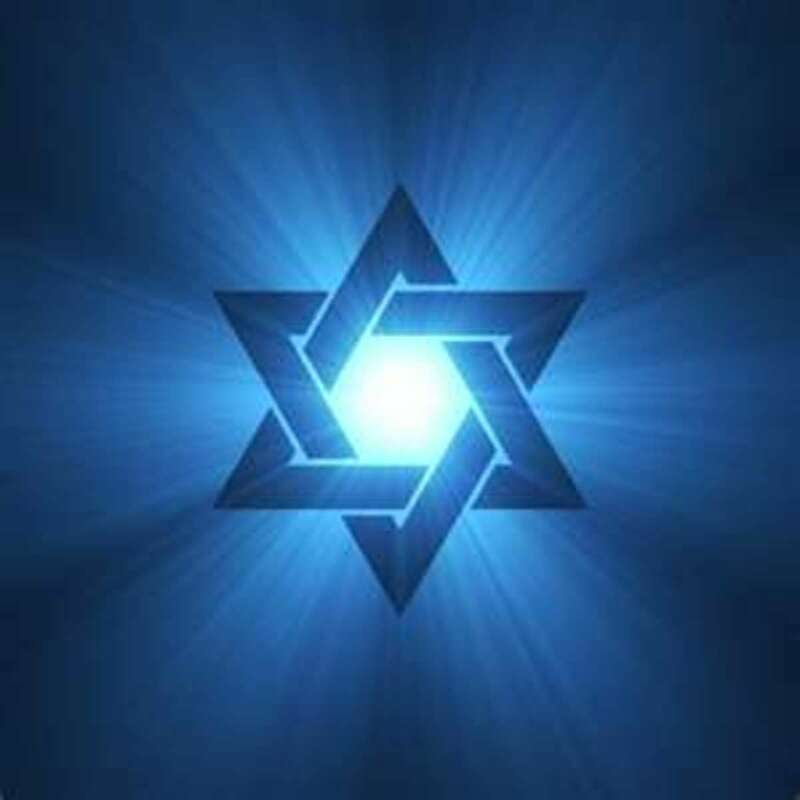 Shalom Aleichim. Thank you for this article Kahana. Peach is another one. The Torah clearly states that NO CHAMETZ (leavened food) shall be found in a Jew's home, for the week of Pesach. Nothing unclear about that Torah commandment made by G-d Himself. The Rabbis formulated an elaborate loophole whereby a Jew "sells" all his chametz to a Non-Jew for a week, and all the while the chametz stays where it was in his cupboard all along. What is the point of this technicality? This farce? To save the $15 you might lose by burning all your bread and biscuits (or giving them to a Non-Jew)? The Rabbis don't want us to follow Torah because then they will have to get real jobs. And like you say, Kahana, they can throw their weight around decreeing who is a "real Jew" and who isn't. 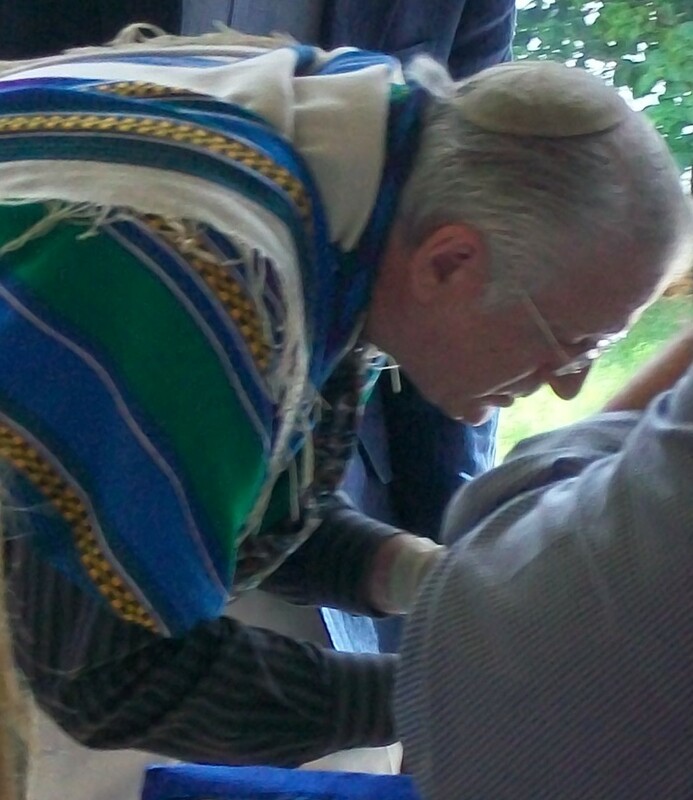 In my view, Judaism is supposed to be ONE G-D, ONE TORAH and ONE PEOPLE. But my experiences with many of the ultra-orthodox have made it clear to me that in many cases it is not ONE at all. It makes me shudder. Some of the "pious" are very busy breaking the really important laws including Lashon Tov, judging favourably, loving their fellow Jew, and being a light unto the nations. Many of them hate the nations so much that they won't go near them, so how could they shed light on them? Where is the love? That's what I ask of those who are so involved in the minutiae of Rabbinic Judaism that they have superiority complexes about their own minhagim (customs), who don't eat with their own children or siblings because of the latters' perceived inferiority in kashrut observance, etc. Where is the love? G-d bless you Kahana. It's good to know people such as yourself are out there. Shavua Tov v'Shalom.